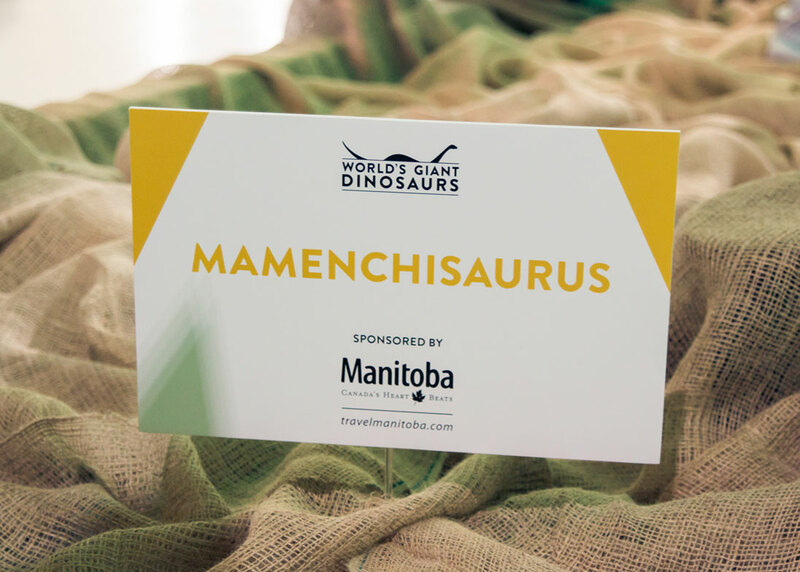 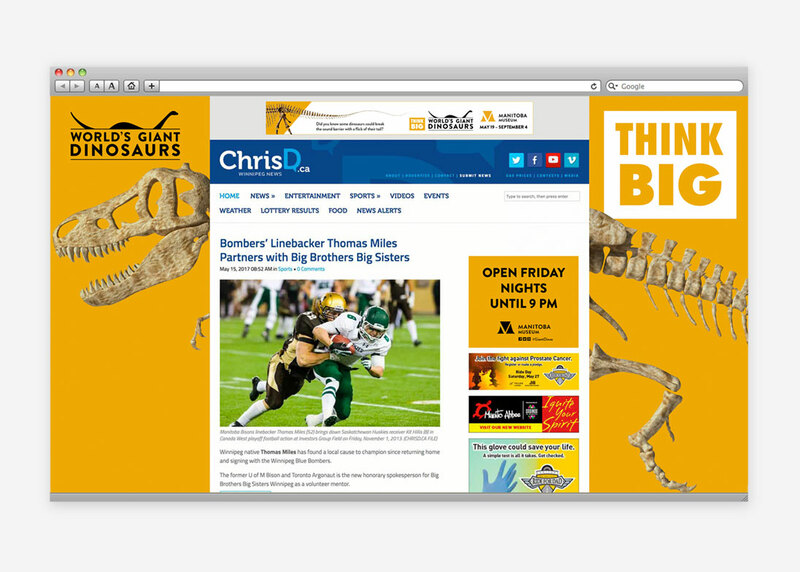 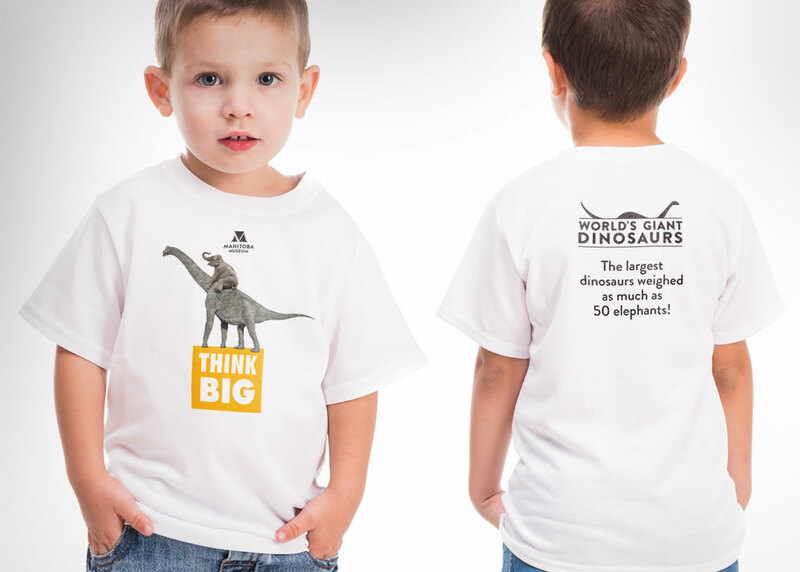 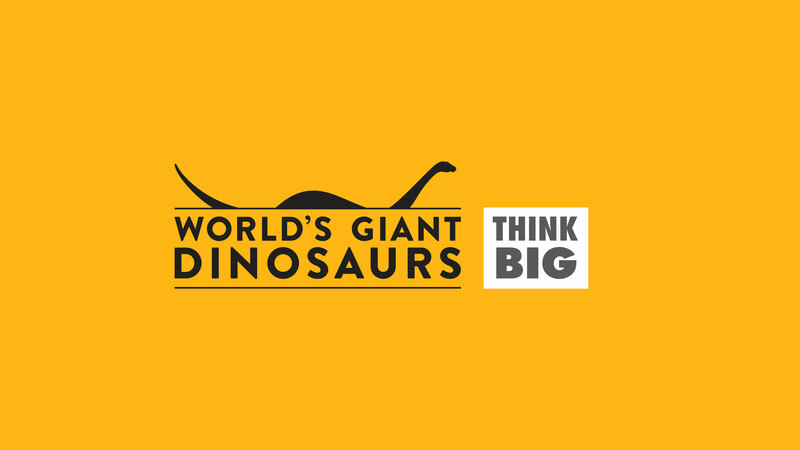 Kicking off the Manitoba Museum’s newly improved and expanded Alloway Hall, the World’s Giant Dinosaurs exhibit presents a touring collection of the world’s largest dinosaurs. 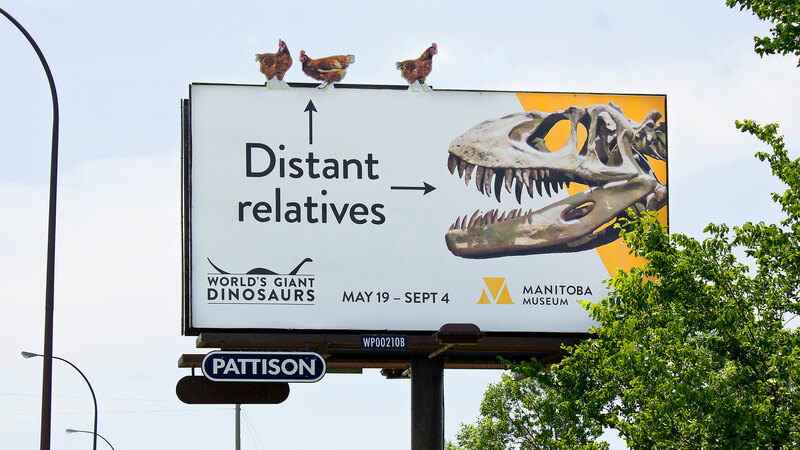 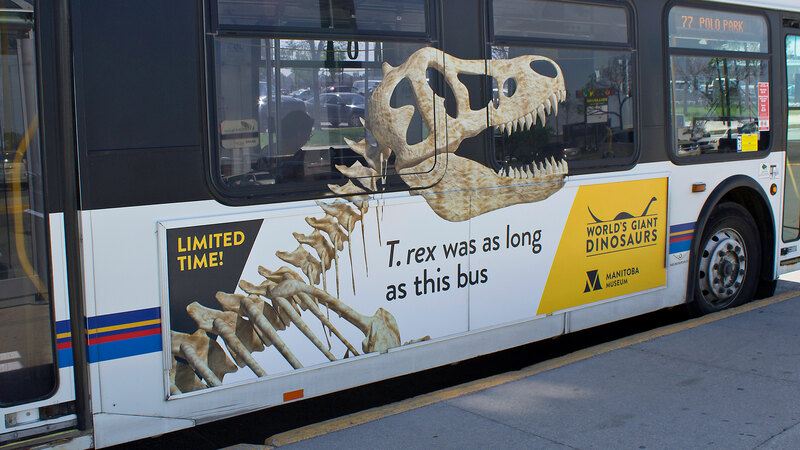 Using fossils, casts, robotics, videos and rich media, the exhibit tells the story of how dinosaurs dominated life on land for more than 100 million years. 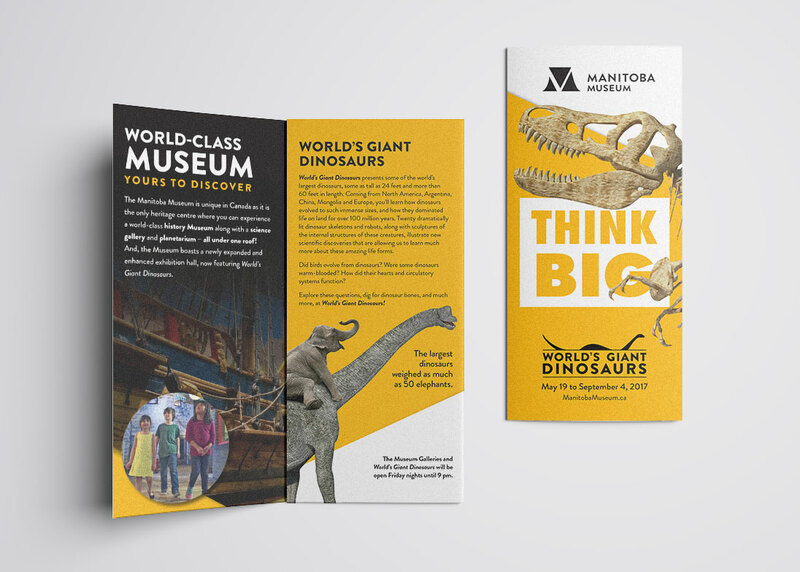 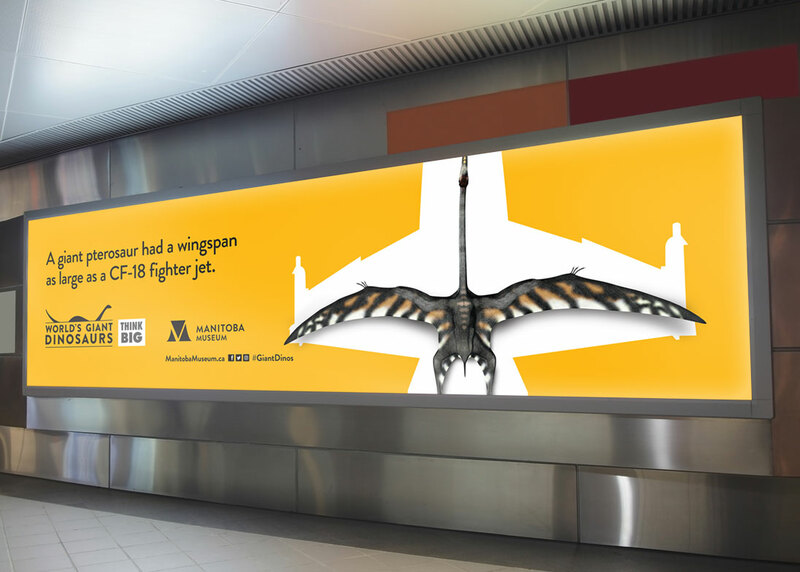 Relish developed a strategy to articulate the educational aspect of the exhibit through fun, captivating and creative executions, each tailored to suit the wide range of media employed for the campaign. 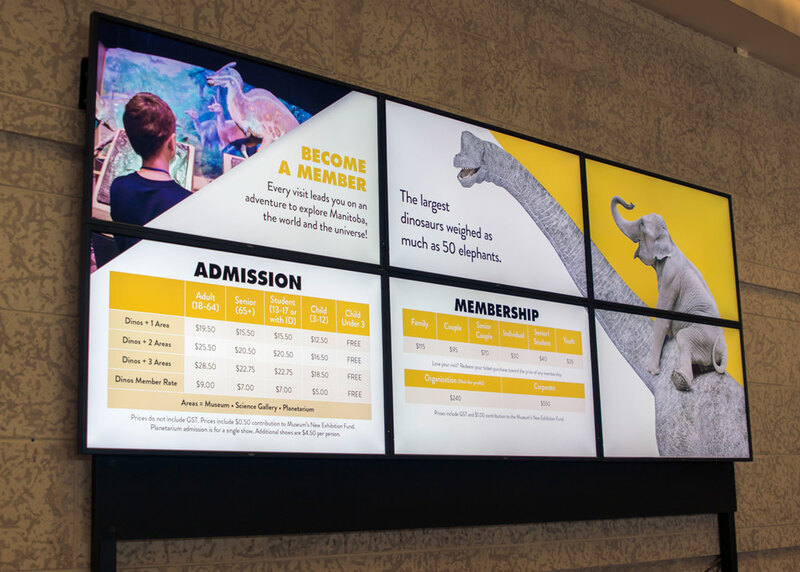 To build attendance, an emphasis was placed on creating connections between the modern world and the age dinosaurs roamed the earth. 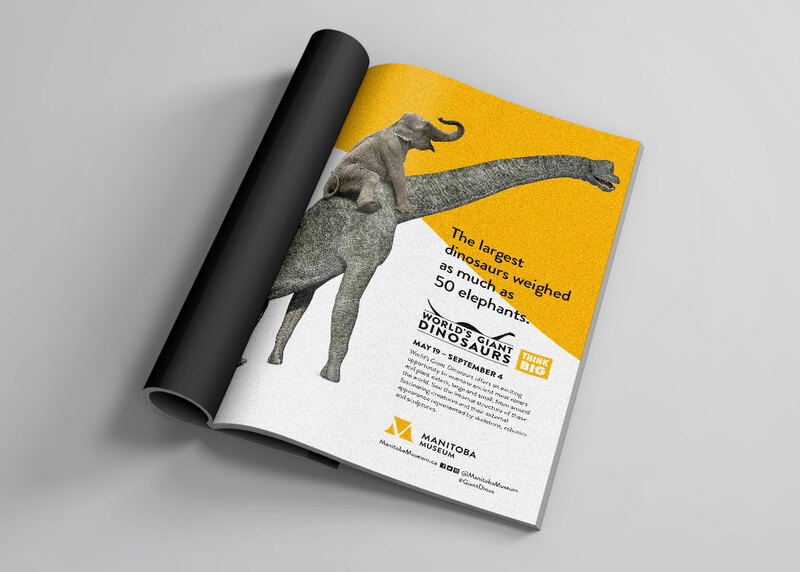 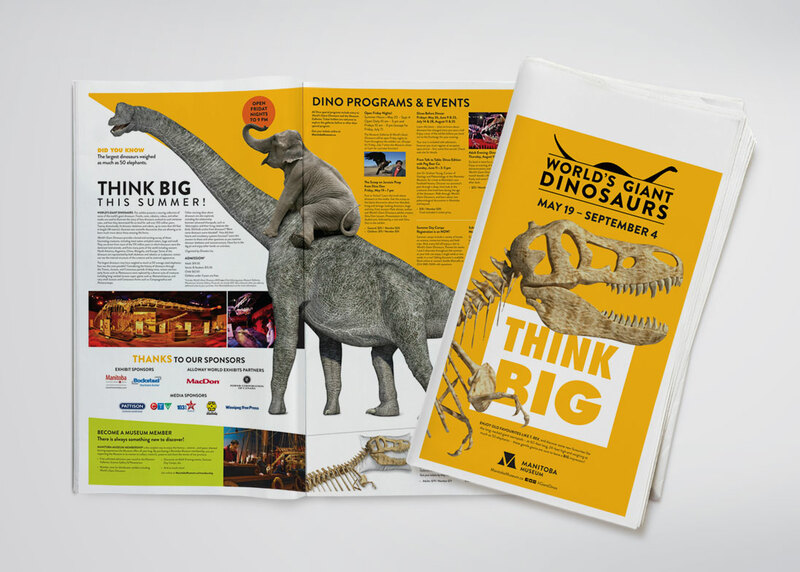 New unique programs that supplemented the exhibit included Downward Dog with Dinos yoga and Dino Snores, a public sleepover event. 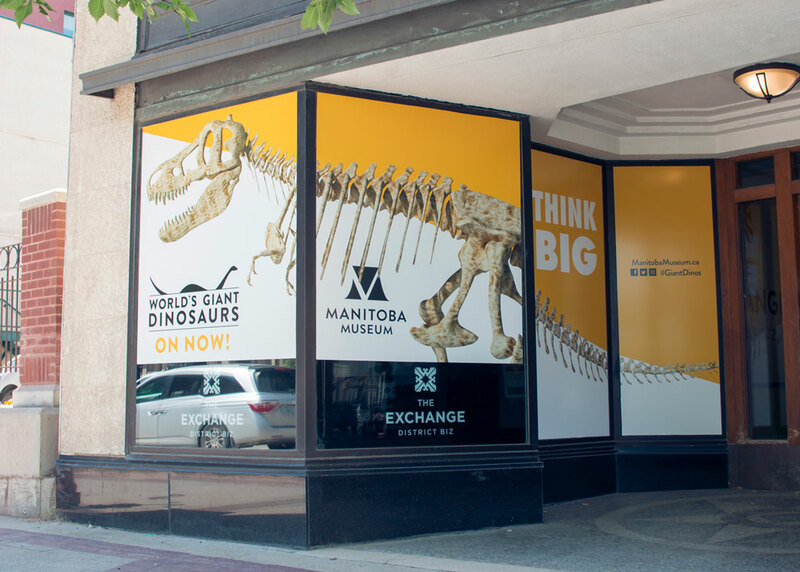 As a result, the museum saw the highest average weekly attendance of any exhibit in the museum’s history.